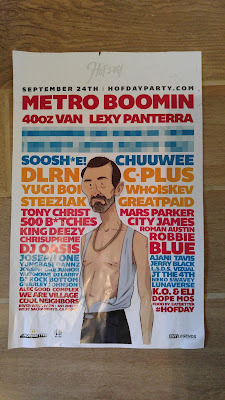 Toon's Tunes : Festivals, festivals, festivals... City of Trees tomorrow, and who's this I see on a poster for Hofday??? Festivals, festivals, festivals... City of Trees tomorrow, and who's this I see on a poster for Hofday??? Tomorrow is City of Trees at Bonney Field! The set times and stages have been announced: click here for details. Parking is free, and I think there are still a few tickets available... headliners Panic! At the Disco, Weezer, Phantogram.... and many, many more! See the full lineup here and all the festival details on the website... and I'll see you there! And then coming soon... 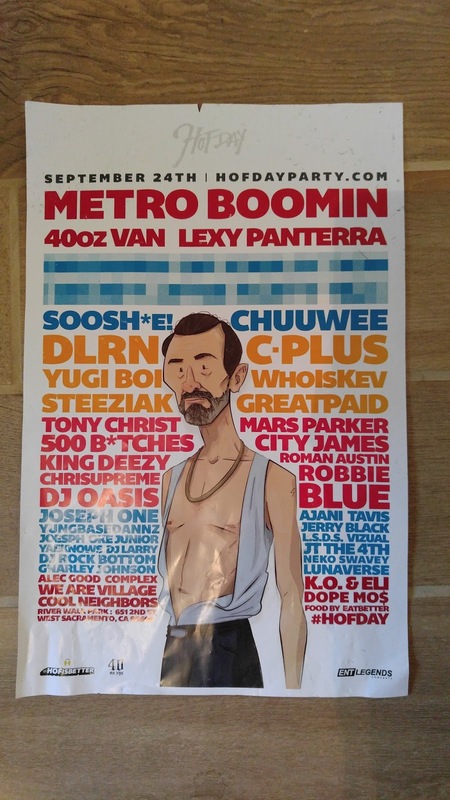 I found out about this one because something blew against my legs as we were walking around downtown last weekend, and what was it but a poster for the party that's so big it thinks it's a festival... Hofday! And look who's on the poster! Sacramento's own Kenny the Dancing Man! Hofday will be happening on the river's edge at River Walk Park, Sacramento, on September 24th. More info on the party/festival website here... music, food, games everything to celebrate this city! Also on 24th (and 25th) of September, for those who are prepared to travel a little further afield: Houston Open Air has announced set times for two days and three stages of metal and hard rock... one or two tickets still available there too and you know we have an airport in Sac, right? It's going to be the biggest rock experience in Texas (and everthing's super big there of course), with more than 35 bands and lots, lots more. A portion of the proceeds from the festival will be donated to the Greater Houston Storm Relief Fund... click on that link for more info. Such a good thing to do, festival organizers... kudos!!! And then... and then... it's not so long now.... AFTERSHOCK!!!! Tool is coming to Sacramento!!! I hope you bought your tickets already!!! It's going to be fun. <--- that's an example of a British understatement. thank you alison for sharing! !